Test-Driving The Obamacare Software : Shots - Health News Proponents of the health law liken the sign-up software to Expedia or Travelocity, where travelers can book flights and hotels. It may be more like TurboTax, escorting you through requirements and choices much more complex than whether you want a flight in the afternoon or the morning. Hit return for health coverage. All the outreach in the world won't count for much if the Obamacare ticket counter doesn't work. Behind the campaign to educate the uninsured about the Affordable Care Act is the assumption that software to sell the plans will be ready and user-friendly by Oct. 1, when enrollment is supposed to start. That assumption isn't universally shared. Some wonder if systems will be tested and finished on time. 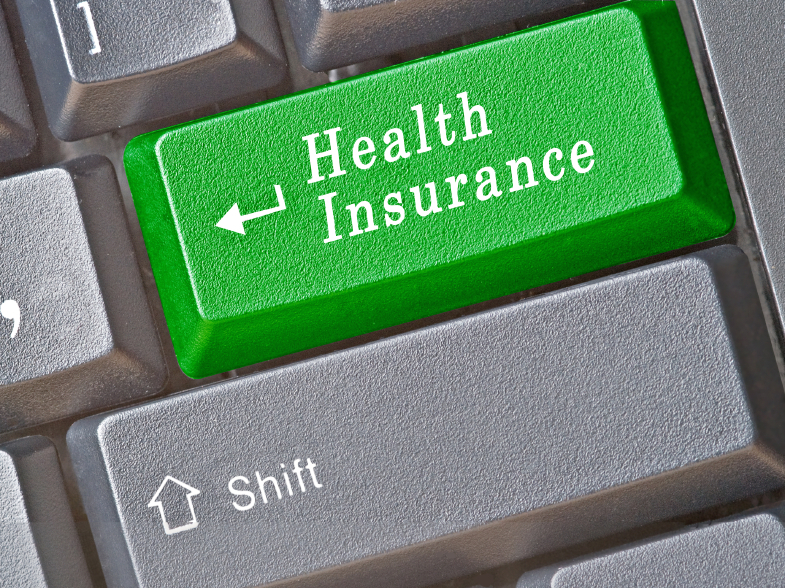 Others worry the programs will lead consumers to make dumb insurance choices. Kaiser Health News got an early look at the exchange software that will be used in Minnesota, Maryland and the District of Columbia. A company called Connecture is developing the Web interface for consumers under 65 who don't have employer-based health coverage to shop and sign up for a plan in those states. Connecture isn't handling the software that qualifies you to buy under the health act or verifies your eligibility for subsidies. Other companies are taking care of those. Connecture's piece is the point-of-sale program, the one that steers you through insurance choices and closes the deal. That process is complex enough by itself. How much coverage do you want? What deductible? Are family members on the plan? Do you need an asthma program? Do you want to keep your current doctor? What about dental? Proponents of the health law liken the sign-up software to Expedia or Travelocity, where travelers can book flights and hotels. It may be more like TurboTax, escorting you through requirements and choices much more complex than whether you want a flight in the afternoon or the morning. Take a walk down the online insurance lane. Like other filtering software, Connecture's program is a multistep search engine, screening out inappropriate options (based on what you tell it) to deliver a manageable menu. 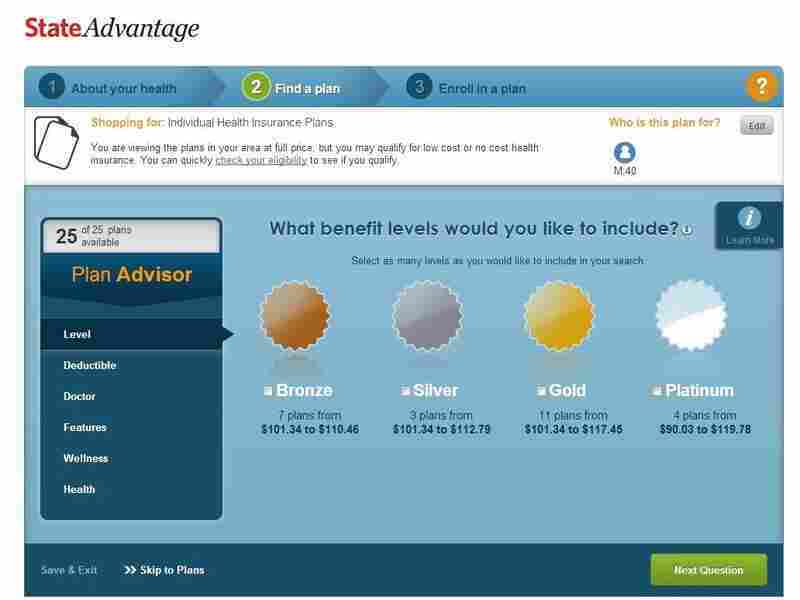 After getting past the basics (Stripped-down "bronze" plan or high-benefit "platinum"? High deductible or low? ), the program asks if it's important to keep your current doctor. "Based on our research, the choice of doctor was probably the No. 1 and No. 2 [features] of what people are looking for in a plan," said Christopher Neuharth, Connecture's director of user experience. To try to reduce sticker shock, Connecture shows your net premium price — after the tax credits are applied — early in the shopping process. But perhaps the most important feature is the one estimating the total cost of coverage, including deductibles and co-pays, based on your reported health status. Without that information somebody with a chronic condition requiring lots of care could choose a plan based only on a low premium, not realizing the total expense could be substantially reduced by paying a larger premium up front. "There's all sorts of wild ways that carriers can design benefits to meet the actuarial value" required by the health law, Neuharth said. "You have to show the total cost of ownership." It's just three months until the exchanges open, but the software isn't finished. Connecture awaits tryouts by Minnesota, Maryland and the District of Columbia and more details on specific demographic groups expected to apply for coverage. It could tweak the software based on the responses, Neuharth said. In any event, your exchange experience may vary. Connecture had a head start compared to some, launching work on the code shortly after the health law passed in 2010. At the same time, the best shopping site in the world won't delight consumers if products are sparse or subpar. Thanks to the narrow networks of doctors and hospitals that many insurers are expected to offer, your preferred doctor may not show up in any of the plans on offer. On the other hand, these narrow networks are expected to be less expensive because they seek discounts from select doctors and hospitals in return for patient volume. Sorting out such pluses and minuses to help consumers make informed choices is the software's job.